The ETS-9 (Engineering Test Satellite) is the centerpiece of a project to develop an advanced satellite bus, or common model, for various high-throughput satellites (HTS) for communications. 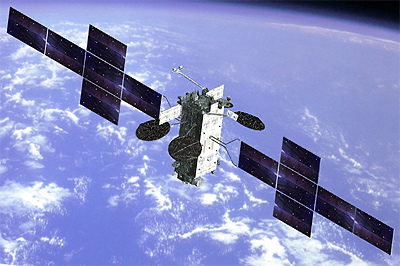 Mitsubishi Electric hopes to leverage the advanced technologies it cultivates for the ETS-9 to win contracts for two satellite systems per year in the global commercial market. Light mass, all-electric bus system achieved with 6 kW high-power Hall thrusters (Japan-made). The first Japanese geostationary satellite equipped with GPS receivers (Japan-made) for laborsaving autonomous orbital transfer and orbital maneuvering.